By David Whinyates on 2018-05-23 - David is one of the UK’s most experienced motoring writers and was instrumental in setting up the Driving Force syndication service for Britain’s biggest regional newspaper group. Former Chief Motoring Editor of Trinity Mirror Regionals, he is Driving Force’s Consultant Motoring Editor and a director of Driving Force Media Ltd. HYBRID power will be available for the first time in Kia's top-selling Sportage SUV when a revised and updated range goes on sale later this year. 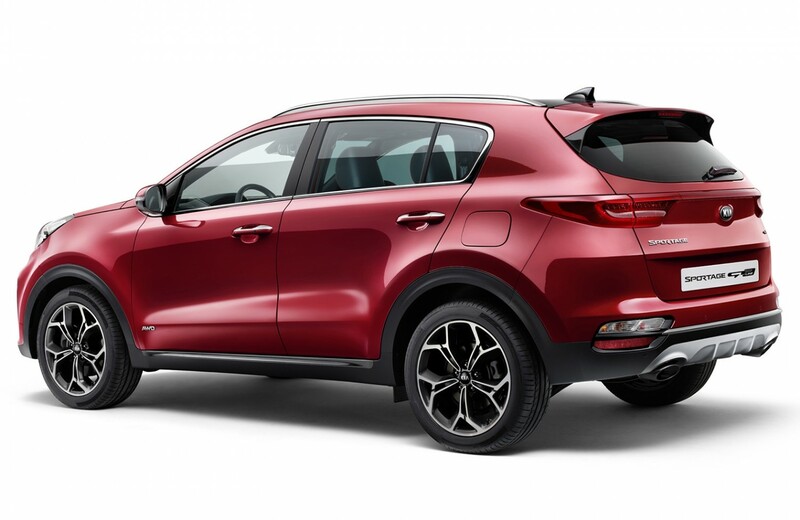 The 2018 Sportage will benefit from a range of enhancements including mild exterior and interior design updates and the availability of the latest advanced driver assistance systems. 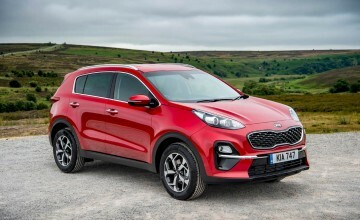 But the big news is under the bonnet where the Sportage will be the first model in the Kia portfolio to be fitted with an advanced new diesel mild-hybrid powertrain. The two-litre diesel engine supplements acceleration with power from a 48-volt battery, and extends engine ‘off time' with a new mild-hybrid starter-generator unit enabling a reduction of up to four per cent in CO emissions. 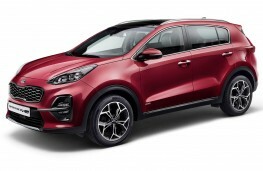 The Sportage's existing 1.7-litre CRDi diesel engine will also be replaced with a more efficient new 1.6-litre power unit which Kia says is the cleanest diesel engine ever made by the Korean company. The new engine will be available in two states of tune - 115 or 136ps - with higher-powered models available with all-wheel drive and seven-speed double-clutch transmission. Cosmetic changes to the Sportage's exterior design include new front and rear bumpers, redesigned front and rear lamps and new 16, 17 and 19-inch alloy wheel designs. GT-Line models will be equipped with a gloss black radiator grille, a gloss black and silver skid plate, and dark chrome inserts on the side sills and rear tailgate. 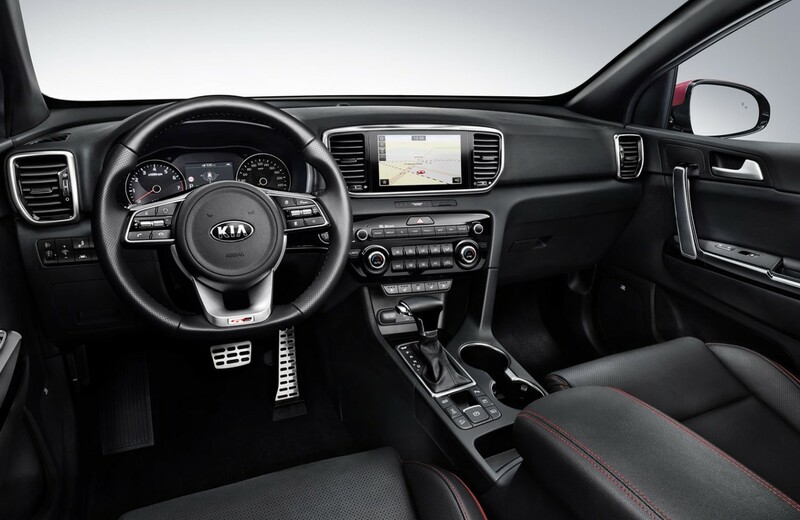 In the cabin there's a new steering wheel and revised instrument cluster as well as new black-and-grey two-tone upholstery. GT-Line models will be available with new black-and-grey two-tone leather seats, or optional black leather with red accents. The latest advanced infotainment and driving assistance systems will also be available, including smart cruise control with stop and go, an around view monitor for easier parking manoeuvres and driver attention warning, to combat fatigue and inattentiveness at the wheel. 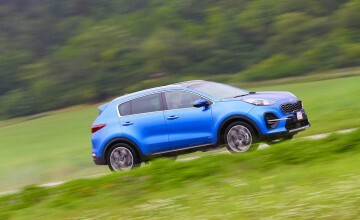 Kia says that the 2018 Sportage is the first model to be launched as part of the brand's global powertrain electrification strategy which will see the introduction of 16 advanced powertrain vehicles by 2025, including five new hybrids, five plug-in hybrids, five battery-electric vehicles and, in 2020, a new fuel-cell electric vehicle. 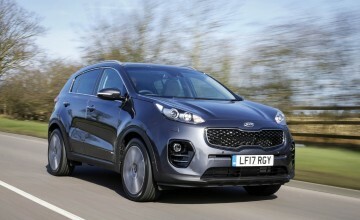 The latest Sportage will go on sale in Europe in the autumn. UK prices and specifications will be announced nearer to that time.